Are you accountable for your spouse's student loans? I applied to have both my husband's and my student loan debt considered in determining our payments under income-based repayment. This reduced our payments significantly. My concern is that the repayment plan selection forms have a box to check that accepts responsibility for your spouse's loan. My student loan debt is considerably higher than my husband's and should I precede him in death it appears he would be on the hook for my loans still, instead of having them 'die' with me. Can they garnish his pension (he's a teacher) to repay my debt in this case? Are there other concerns we should be aware of? He plans to apply for forgiveness after 10 years of public service for his loans; would this move affect that? — Joanne H. As discussed in the Ask Kantro column, Seeking Clarification of Income-Based Repayment for Married Student Loan Borrowers, the monthly loan payment under income-based repayment (IBR) is based on the combined income when married borrowers file a joint federal income tax return. These borrowers can apply to have eligibility for IBR based on the combined debt. The monthly payment will then be applied to both borrowers' loans in proportion to the loan balances, thereby replacing two monthly IBR payments with just one. This can significantly reduce the monthly payment and may yield some savings, especially in conjunction with public service loan forgiveness. The repayment plan selection form does not require spouses to accept responsibility for each other's loans in order to have a single IBR payment applied to both borrowers' loans. Each spouse's loans remain separate. 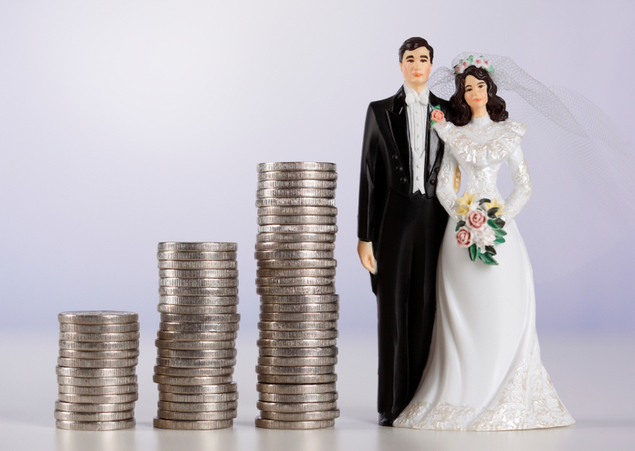 If one spouse defaults, the other spouse's wages cannot be garnished and the other spouse can use an innocent spouse defense to prevent his or her share of the income tax refund on a joint return from being offset. If one spouse dies or becomes totally and permanently disabled, only that spouse's loans are discharged. If one spouse qualifies for public service loan forgiveness, only that spouse's loans are forgiven. Parts of the repayment plan selection form can be confusing due to a historical artifact. From January 1, 1993 to June 30, 2006, married borrowers could consolidate their federal loans together into a single loan. This loan was referred to as a joint consolidation loan. Each borrower assumed full responsibility for repaying the joint consolidation loan. The statutory language concerning joint consolidation loans was added by the Higher Education Amendments of 1992. Unfortunately, there was no provision in this legislation for splitting a joint consolidation loan when the borrowers got divorced. Thus joint consolidation loans became a tie that binds beyond divorce. If one ex-spouse failed to make his or her share of the joint payment, the other ex-spouse would be forced to make the full payment or risk ruining the credit scores of both borrowers by defaulting on the joint loan. To prevent more borrowers from experiencing this problem, the provision for joint consolidation loans was repealed by the Higher Education Reconciliation Act of 2005 (part of the Deficit Reduction Act of 2005). Unfortunately, there are still some borrowers who have joint consolidation loans. Congress did not provide any solutions for borrowers who are stuck with a joint consolidation loan. When a married couple has a joint consolidation loan and one borrower wants to change the repayment plan, both must agree to the change since the debt is a joint obligation. Accordingly, the repayment plan selection form must include options relating to joint consolidation loans. But it is easy to misinterpret the references to "IBR Joint Consolidation Loan Repayment" as "IBR Joint Consolidation Loan Repayment" instead of "IBR Joint Consolidation Loan Repayment". Unless a married couple has a joint consolidation loan, they should not check the box for "IBR Joint Consolidation Loan Repayment".